A Cat Tree, of course! The Cat Tree comes in beautiful unfinished birch or bamboo and features four carpeted shelves that are soon to be your kitty’s new favorite napping spots. There are six look-out holes that Kitty can use to survey her territory and stalk that flying squishy mouse you keep waggling at her. It’s pretty clear that your cat will love our Cat Tree, but will you? 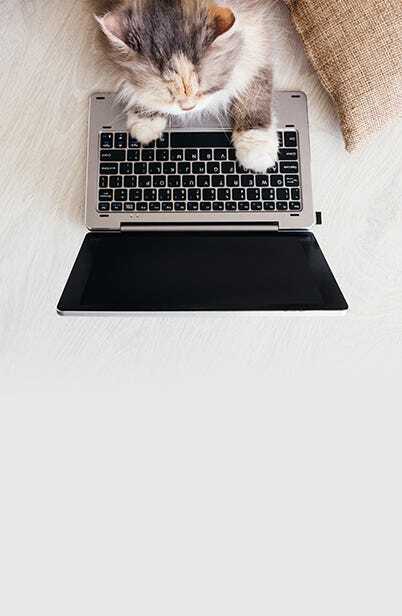 We think so; the high-quality materials, meticulous construction, and efficient design—not to mention free shipping—are attractive qualities to us non-cat types. You might even find less cat fur on your favorite chair—and that your chair is actually free—when your kitty has a place of her own. If you go with the unfinished birch, you can paint, stain, or use the cabinet-grade birch as-is. (Please note, the grain may vary from these photos.) 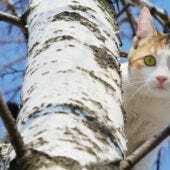 The birch wood is sourced domestically and all of our Cat Trees are made in the USA. Or perhaps the caramelized finish of the bamboo Cat Tree will better suit your home. Bamboo plywood is a premium hardwood material and is about 30% denser and heavier than birch plywood. Often mistaken for a tree, bamboo is a perennial grass that is highly renewable and produces 35% more oxygen than trees. 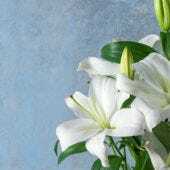 It reaches maturity in four years and upon harvest, it doesn’t require replanting. The bamboo cabinet is protected by two coats of professionally applied water-based (low VOC) clear varnish, inside and out. The Cat Tree ships flat and is easily assembled at home. We recommend two people for assembly—those panels are nice and heavy! Each cabinet comes with left and right upright panels, (4) carpeted shelves, (5) support bars, (26) decorative hex screws, and (1) hex key. 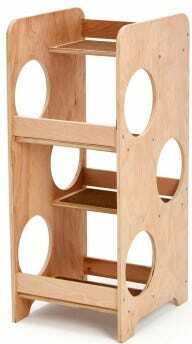 The assembled Cat Tree measures 48″ high and has a small 19″W x 23″D footprint. 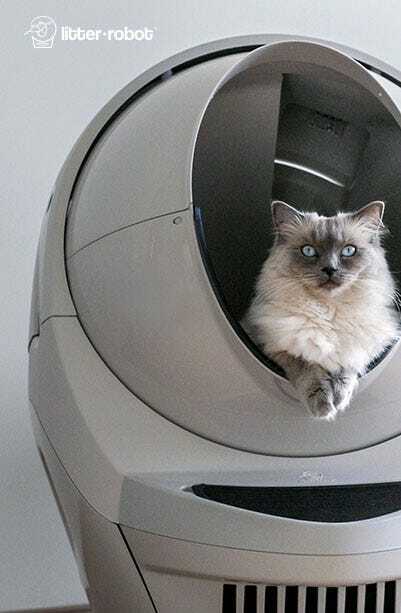 Read more about the Litter-Robot Cat Tree in birch or bamboo.